Hi! I have a laptop computer for sale. It is HP (Hewlett Packard) Pavillion Entertainment Notebook PC. It was purchased new in 2008 and was used until 2016 when it was replaced by HP's new model (HP Envy) and has been in storage every since. My IT Guy recently worked on it to return it to original factory specifications and it has Windows installed but no other applications. Identical to the dv7-2000. In addition, was introduced a models with an Intel i5 and i7 processors and discrete graphics NVidia GeForce G 105M 512 MB and NVidia GeForce GT 230M 1024 MB. Processors - Intel: Intel Pentium Dual Core, Intel Core 2 Duo, Intel Core 2 Quad Intel Core i5 Intel Core i7. Processors - AMD: AMD Athlon II/Turion II (Socket S1G3). ATI Mobility Radeon HD 4650 (M96) 1024 MB. Graphics - AMD: ATI Radeon 4250 (UMA), ATI Mobility Radeon HD 4530 (M92) 512 MB, ATI Mobility Radeon HD 4650 (M96) 1024 MB. 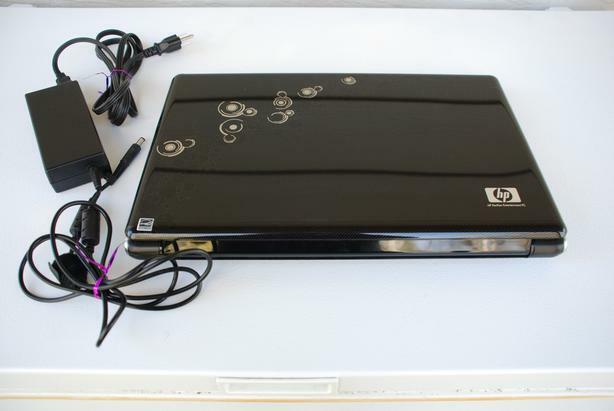 I am asking $350 for this HP laptop. I am located in Vancouver, BC but shipping is no problem. I will be happy to mail this HP laptop to you using CanadaPost and Interac bank transfer. So, if you are interested in purchasing, e-mail me and we'll figure out the logistics and/or I can answer any questions you may have. Thanks!